Every homeowner has a dream kitchen in mind. Before filling your kitchen with most-advanced appliances, you first have to map out a floor plan. To get you started, here are the four most common kitchen layouts you can leverage for your home. This type of kitchen layout is also called the “Pullman kitchen” and is the right plan for a home with a smaller kitchen area. Your refrigerator, stove and other cookware will be placed along the wall. It is usually found in loft spaces or studio units because of how efficient it is in saving space. Don’t put your corner space out of the equation because an L-shape layout maximizes it. This layout is characterized by countertops on two adjoining walls, forming an L. With the L-shape layout, you can seamlessly add a dining space with multiple work zones. It makes your kitchen smarter and more versatile. This style works best with medium-sized kitchen remodeling projects. Storage is important for the kitchen area, and the island layout includes plenty of space for storage and appliances. This includes a detached island countertop with plenty of functions, such as providing a place to eat, prep meals and much more. A U-shaped kitchen layout has three walls of cabinets and appliances. Nowadays, an island is included in this floor plan to keep up with the modernized kitchen designs. This is perfect for a more efficient workflow in a kitchen. 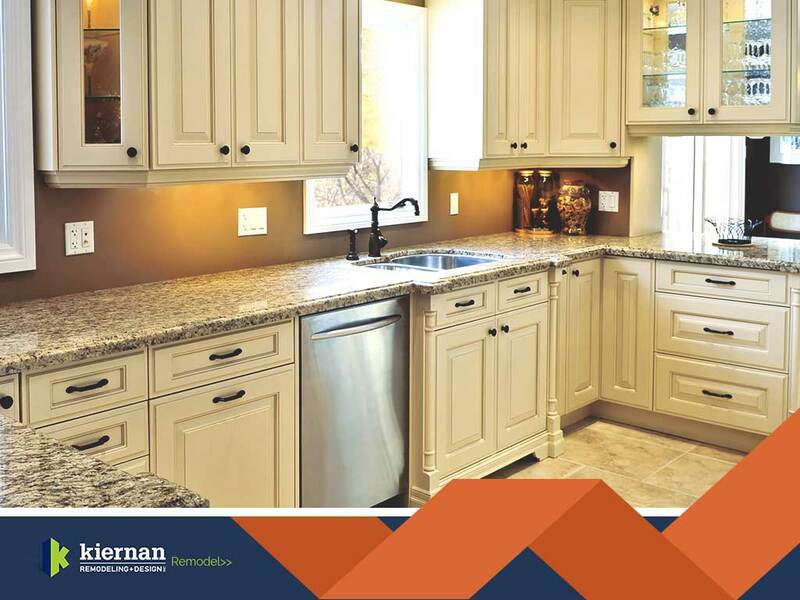 Kiernan Remodeling provides excellent kitchen and bathroom remodeling services. Their professionals can improve your home with our stunning residential and commercial makeovers. Call us at (9410) 981-7744, or fill out our contact form to schedule a consultation. We proudly serve homeowners in Bradenton and Sarasota, FL.